"Janka is a very organized young lady. She kept us informed of the clients that were seeing our house. We had a very pleasant experience." Lynn is "Simply the best! If you want your house sold, call Lynn." Lynn is "Excellent! Friendly, knowledgeable. Best real estate experience by far!" Lynn is "honest, reliable and caring ." "Amazing, I will never go anywhere else. She is patient, caring, direct, a professional." "I thought Lynn was very informative and thorough. We selected Lynn after interviewing three different realtors. She was the most knowledgeable, most experienced and most pleasant." "We were very happy with the service provided by RE/MAX and Lynn. Lynn has a broad level of expertise in the realty market. We would be glad to refer family or friends to Lynn in buying or selling a home." "Lynn is very professional and a pleasure to work with. Excellent service, prompt reply, very professional, great to work with." "A very professional lady. She makes her clients feel special. She has been doing a great job for a lot of years. Keep up the good job you are doing!" "Lynn Grimsley stuck with us over a two year process when the real-estate market was in a slump. Over that time Lynn became more than an extraordinary realtor she became a friend. She showed us many homes always refining her search based on our comments. She is a very good listener and was able to gauge what it was we were looking for gently steering us in that direction. At no time did we feel pressured to make a sale or a purchase. She is very knowledgeable about all aspects of the real-estate business particularly on the Peninsula. Perhaps, more importantly, she is very knowledgeable about people. Her experience and connections allowed her to help us select a builder. This was crucial to the building process that took place over several months. She can add real-estate matchmaker to her many other credentials. She was a joy to work with and we would not hesitate to recommend her to others. Of course we knew Lynn was representing RE/MAX Peninsula. The stationary and emails always had the logo but it never dominated the process we went through. The company Lynn operated through provided us the security to move through the process. The selling and buying of our homes always seemed very personal. We really didn't have an impression of either Lynn or RE/MAX before the spring of 2008. We had only bought one home in 1997 so our experience with real-estate transactions was very limited. However, the process we went through then was very different from the one we went through with Lynn; Lynn and RE/MAX being sooo much better." Lynn was "Responsive, thorough, easy to work with." What could Lynn do better? "Nothing. Was easy & great." Lynn is "Professional, timely, knowledgeable. We would have given her a higher rating than 5 if the scale permitted." "I've never sold a home before and my husband was deployed. Lynn explained everything to me and she was very clear about the process for selling my home. The market was scary, but amazingly my house sold in less than one month. I followed her advice and I felt confident working with Lynn. I'm so happy she was my agent. I'm thoroughly pleased with Lynn & RE/MAX Peninsula. "Lynn, Thank you for helping us find our first home. You went above and beyond and were truly a blessing to us. The entire experience was better than we ever could have hoped." "Lynn is an excellent real-estate agent and fulfilled all of our expectations. Lynn puts a lot of energy in advertising one's home. She is very knowledgable, trustworthy and reliable. We would recommend her any time." "Very happy with Lynn and RE/MAX. She is very well informed, always available and helpful." Lynn is "friendly, knowledgeable, available". "Honest and professional. Provides honest information, conscientious"
"Lynn knows her stuff and is a great person to work with. Lynn is excellent in all areas of Real Estate." "Lynn is very informed and always got back to us in a timely manner. We enjoyed working with Lynn and would recommend her to friends." "You can count on Lynn...She is well informed and works with your needs in mind. She helped us a lot...Keep doing what you are doing". "Lynn was both professional and personal from start to finish. Lynn stayed in close communication with us, and ultimately we sold at a good price in a tough market. Lynn is smart, kind and level-headed, and a pleasure to work with. We were lucky to have Lynn as our agent and friend." "You would not find a better real estate agent. Very diligent. She gave excellent service." "Excellent realtor and real estate business...Experience, patience, knowledge of the market and willingness to listen to us and meet our goals...We were completely satisfied with the whole process, we could not have chosen a better realtor to go through the purchasing of our home." "Lynn...you were, at each encounter, so very pleasant and professional , it was indeed my pleasure to work with you. You can be assured that in the future you will be recommended to any and all that I encounter in need of a completely competent realtor!" "Lynn is articulate and knowledgable...great company and Lynn reflects that image." "We are so Happy with our new home!!! You are great!" "Lynn, you're the best agent - so glad we had you and thank you for the donation in our name to Children's Hospital." "I truly appreciate all of your efforts and patience in selling my property....I realize I'm luckier than most to have sold in this crazy and unpredictable market." "Mark and I just wanted to say thank you for all that you did for us....with understanding and patience." "Our overall impression of Lynn is she is the best realtor(sic) we've ever had! She is professional with high integrity and represents RE/MAX well." "Great to work with. Lynn helped us so much with everything....you made buying a house so nice and easy." 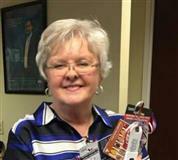 "Lynn has been tough as a bulldog for our interest as buyers and extremely caring for our needs. She gave above and beyond helping us not only buy our house but transition to a new area. It's hard enough moving every three years in the military and having someone who really cares makes a huge difference." "Lynn is a very experienced, personable and kind real estate agent with a lot of attention to detail...Lynn was always professional...Lynn was always available, got back quickly, spent a lot of time going through my questions, works late and did a lot of little things which were appreciated gestures. She's the kind of person that renews your faith in humanity and kindness...Very knowledgable, very professional, cares not about selling a house, but finding a home for her clients."